Central Africa boasts the second largest expanse of tropical forest on the planet. The largest part of this vast forest, in the DRC, covers 160 million hectares, about 60 percent of which is ecologically intact. The DRC’s forests provide the primary source of food, shelter and income for some 40 million people. Illegal and illegitimate taking of land and natural resources has had an especially severe impact on the Batwa — indigenous forest hunters and foragers that number approximately 6,000 people. Forest dwellers are a complex patchwork of ethnic groups — including both Bantu farmers and hunter-gatherers of the Efe and Mbuti groups, who share the forests with some of the world’s most iconic wildlife. Because about 80 percent of the DRC’s ecologically intact forests lie outside of formally designated protected areas, the participation of local people in developing and implementing approaches for conservation is essential. KABOBO WILDLIFE RESERVE. MAP: JP KIBAMBE/WCS. However, the integrity of these forests are increasingly challenged by poor governance and the daily needs of a population still struggling to emerge from decades of civil war amidst continuing insecurity and armed conflict. Nowhere is this more apparent than in the vast lowland forests, montane rainforest, and savannah woodlands of the Kabobo Massif — a 100-kilometer mountain range at the eastern edge of the Congo Basin that is one of Africa’s most biodiverse places. The Batwa’s active stewardship of the forest has been an important factor in maintaining the integrity of the area’s natural ecosystems. More than 300,000 people rely on these forest landscapes, which extend across 4 million hectares, for their future livelihoods and safety. They provide a critical source of freshwater around Lake Tanganyika and play a key role in sustaining the health of the lake’s fisheries. 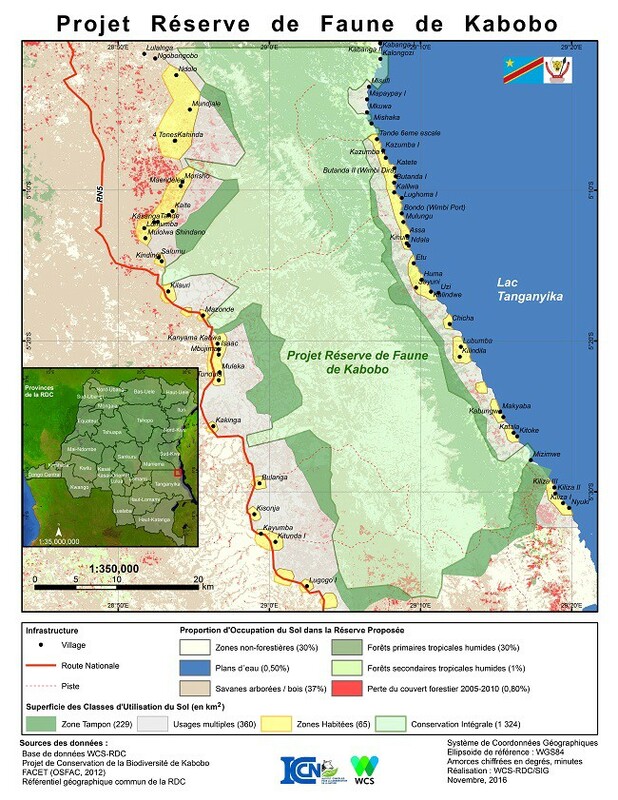 Nevertheless, the Kabobo region faces significant threats including mining, increased local charcoal and timber demands, a growing local population driven by migration from nearby conflict zones, and decreasing government oversight. Illegal and illegitimate taking of land and natural resources has had an especially severe impact on the Batwa — indigenous forest hunters and foragers that number approximately 6,000 people. The Batwa account for about 20 percent of the population of the Kabobo Massif and are locally renowned for their ecological knowledge. A BATWA SCOUT IN KABOBO. PHOTO: AUGUSTINE KASAMBULE/WCS. Their active stewardship of the forest has been an important factor in maintaining the integrity of the area’s natural ecosystems, but they are also especially vulnerable to land and resource grabbing because their way of life depends heavily on the direct use of natural resources. Despite their claims to the territories they historically and currently use, the state rarely, if ever, recognizes their legitimacy when more powerful interests seek out these areas. More than 300,000 people rely on these forest landscapes, which extend across 4 million hectares, for their future livelihoods and safety. To address the issue of poor governance, WCS supported a 10-year process led by the government to create the 150,000-hectare Kabobo Wildlife Reserve. Participating as an equal partner, the Batwa were empowered to protect the intact forest ecosystems on which the they depend, help define reserve boundaries, ad establish a structure governing use of resources. 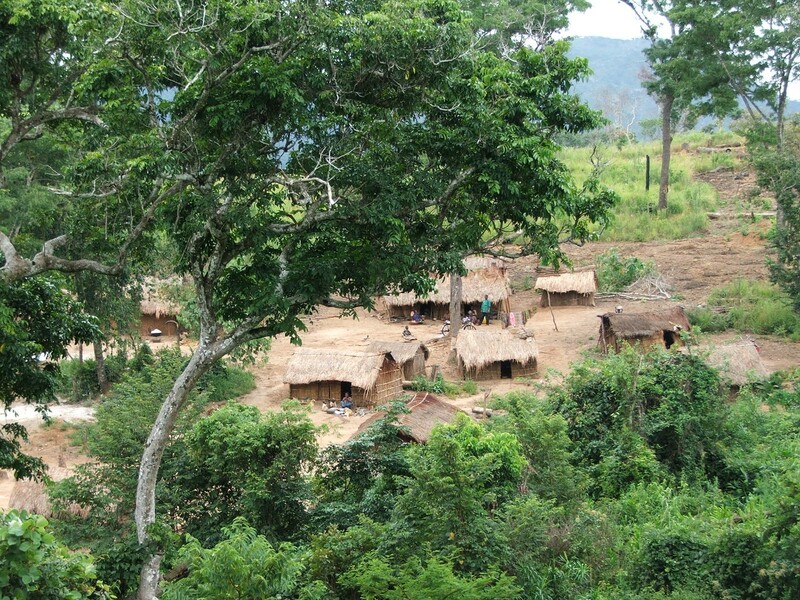 VIEW OF VILLAGE IN THE KABOBO WILDLIFE RESERVE. PHOTO: NYEMBO PALUKU/WCS. In 2016, the DRC passed a new forestry law that provides a legal framework for community tenure and management of forested lands, based on the creation of community forests. 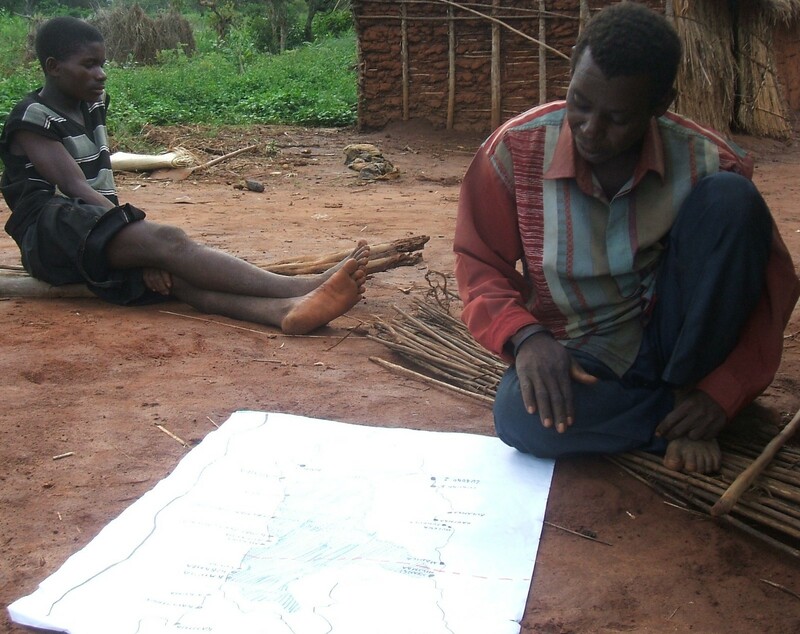 Looking ahead, WCS and partners hope to replicate the successful participatory approach used to create the Kabobo Wildlife Reserve, and thereby extend community forest management across much more of this important landscape. 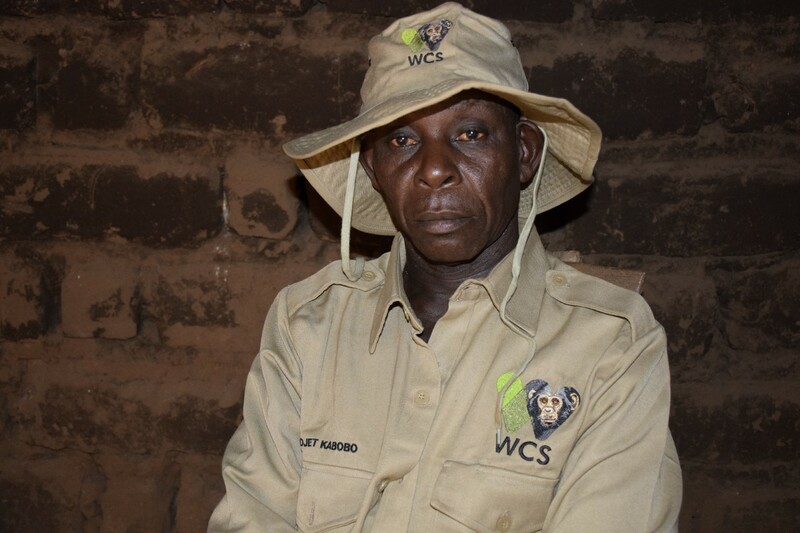 Deo Kujirakwinja is a conservationist with the Democratic Republic of Congo Program at WCS (Wildlife Conservation Society). Michael Painter is a senior technical advisor at WCS. Originally published at blog.nationalgeographic.org on September 10, 2018.